SPRINGFIELD—State Representative Dan Ugaste (R-Geneva) was appointed to five House committees, which he will serve on for the 101st General Assembly. These committees will be tasked with reviewing important legislation to determine which bills move forward throughout the legislative process. Ugaste’s appointments include: Appropriations—Capitol; Museums, Arts, and Cultural Enhancement; Labor and Commerce; Energy and Environment; and Healthcare Licenses. Beginning his first term in the House of Representatives, Ugaste is ready to get to work vetting the hundreds of bills that have already been filed for the 101st General Assembly. 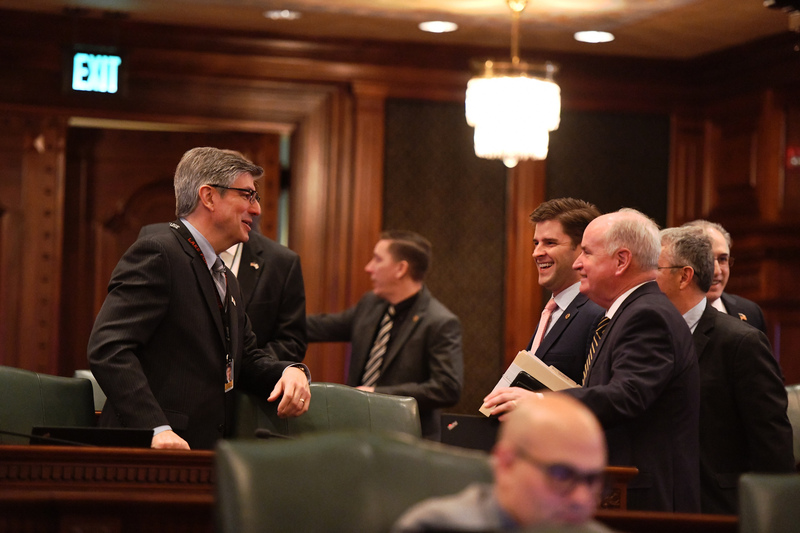 “My committee assignments will help me advocate for a wide variety of issues important to Illinois residents and families in the 65th District,” said Ugaste. Representative Ugaste returned to Springfield this week, which will be the first week that committees meet in the House. Dan Ugaste is a first term State Representative for the 65th District, and represents portions of Kane and southern McHenry Counties, which includes Elgin, South Elgin, St. Charles, Hampshire, Huntley, Pingree Grove, Batavia and Geneva.